Kathy was brave nice enough to answer my call for help with getting this article out. It's a good thing, too ... because I've wanted to have an article like this on Cheap and Sleazy for quite some time. I wanted an article of this type on Cheap and Sleazy because ... well, let me tell you a story. A few years ago, one of my tech writing friends told me about a young man she used to work with. The company she worked for at that time employed tech writers, programmers, graphic artists, and other folks of various and sundry skills. Their mission: To seek out new life and -- er, their job was to travel to the businesses that hired them and develop training curricula designed specifically for that company. The young man I mentioned was a self-taught wizard at writing Flash code. He was so good that he could look through the broken code of another Flash developer and find the source of a problem that had stopped that developer cold for weeks instantly ... and, as you might guess, he was earning money hand over fist. One day, after being out on a contract in another state for six months, this young man found his bank account laden with cash ... more cash than he'd ever seen in his life (did I mention this was his first job?). Naturally, he did what anyone in his position would have done. Yes, that's right: He bought himself a house. See, the company he worked for hired him as an independent contractor ... which means they didn't take any taxes out of his check. Unfortunately, our young Flash wizard didn't know that taxes had not been taken out of his check, so you can imagine his surprise when The Tax Man stopped by to ask the eternal question: "Where's my money?" I'll spare you the details, but the young Flash wizard had to take out a mortgage on his new house to pay that "surprise" tax debt! I don't want this to happen to any of my readers, so I asked reporter Kathy "StenEdge" Zebert if she could whip something up for me ... and here it is! Are you considering court reporting as a profession? Are you already in school? Have you just graduated, passed your certification exams and begun your career? If the answer to any of these questions is yes, this article is for you. It's a very simple discussion about tax considerations as you begin your court reporting career. Court reporting is not just a job; it's a business. If you've always worked as an employee, there are things you need to know in order to avoid the raised eyebrows and blood pressure when April 15th comes rolling around and your taxes have to be filed. Before I tell you what those are, I'll begin by saying that it's really important to consult a tax accountant before making your first dollar as a court reporter, if you don't already have one. Reach out to your friends and get a recommendation for a good one. So I'll get started with some scenarios. Remember this number as we go along: 30 percent. As a general rule of thumb, 30 percent of the money you make in any business should be set aside for taxes. Why 30 percent? Here's basically how it breaks down. As an employee, your employer is required to split the taxes with you. They pay about 7.5 percent to the feds, and you pay 7.5 percent. That's 15 percent, if my math is right. What's the other 15 percent for? You know, I missed the tax discussion in high school, but somewhere along the line, the government decided that self-employed people should pay a penalty for the privilege of having their own business, and that penalty is 15 percent. I might add that if you have state income tax, you?ll want to be sure that at least 5 percent will need to be factored into that 30 percent. The following scenarios are just a few, but hopefully they will show you the value of getting your financial ducks in a row so that there are no surprises later down the road. Setting up your business the right way from the beginning is so much easier than having to fix it and start over. Scenario 1: You're a freelancer, working as a subcontractor for a firm. You get your first check for several weeks of work, and it's $5,000. Woo hoo! Let's celebrate!! Slow the crazy train down. Remember that 30 percent number? Deduct that right this minute. If you don't, the IRS will be having the party at your expense. Every check you get -- I repeat -- every check you get should be dealt with in this fashion. But you have to pay your student loans? Yes, you do, but the student loan people are so much more accommodating than the IRS. This is just the reality of being self-employed. Scenario 2: You're an employee of a firm. They take your taxes out, so that's one thing out of the way. They take a commission, and it's usually higher than they take for subcontractors. Why? To reimburse themselves for taking on the tax burden, of course. If you have another income to depend on, this scenario might work for you, however. Just be aware that there will be disappointment when you get your check. Put a smile back on your face, however, because they're taking on the headache of the taxes at this point. In addition to that, you still get to deduct expenses as if you were not an employee, because most firms don't pay for your equipment, etc. 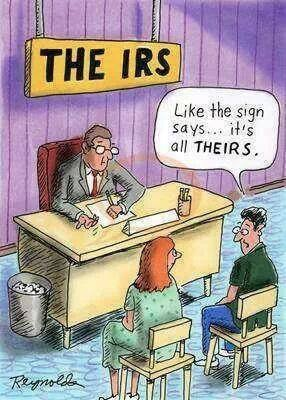 Again, consult a tax accountant so that you know all of your tax implications in this scenario. Scenario 3: You're a state/federal official. They take out your taxes and provide other benefits you'd have to pay for as a freelancer. Think your tax life got easier? Not really. What about transcript income? Guess what? It's not taxed, and it's also not generally considered in your retirement/social security income. There are options here, though. You can have them take out taxes at a higher rate to offset some of your tax burden. Yet again, consult with a tax accountant to be sure you know what your options are. As I said, these are just a few of the business scenarios. There are pros and cons with each of them. Educate yourself before you get in a bind and find the scenario that works for your lifestyle and personality type. Court reporting is very rewarding as a business, and if you view it as a business in lieu of a job, with financial guidance along the way, you'll be enriched in ways you can't imagine. Kathy Zebert has been a freelance/official court reporter since 1994. She has reported in Mississippi, Tennessee, South Carolina and Georgia. 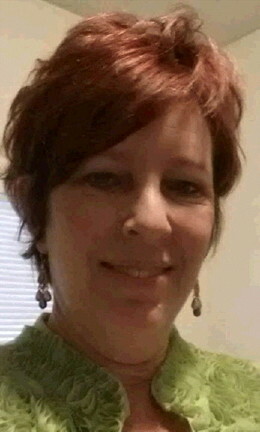 She has a bachelor's degree in alternative dispute resolution from Kaplan University. She has volunteered her time with the NCRA, as well as state associations. Kathy has published articles in The Journal of Court Reporting and The Volunteer Reporter on various topics and presented seminars to both professional court reporters and students. She is the current owner of Stenedge, a continuing education resource for every level of the profession, from students to working professionals. She can be reached at info@stenedge.com or on Facebook, Twitter or LinkedIn.